For your orders, please email miriamq@me.com. Kindly indicate the name for whom you wish the book to be dedicated. We accept payments thru Paypal and Direct Bank Deposit. Courier charges will be applied. You can also download a copy of the e-book on the Amazon Bookstore. I am happy that Miriam Quiambao finally gets to tell her own story. She has a beautiful life and one that’s well–lived through its ups and downs, triumphs and travails. But clearly, she is a winner. Always has been. May she continue to be an inspiration, especially to those who stumble and fall. An amazing story of hope that will inspire and encourage every woman! Miriam shares her life’s journey with truth and passion. Oh, what God can do with a life yielded to Him! 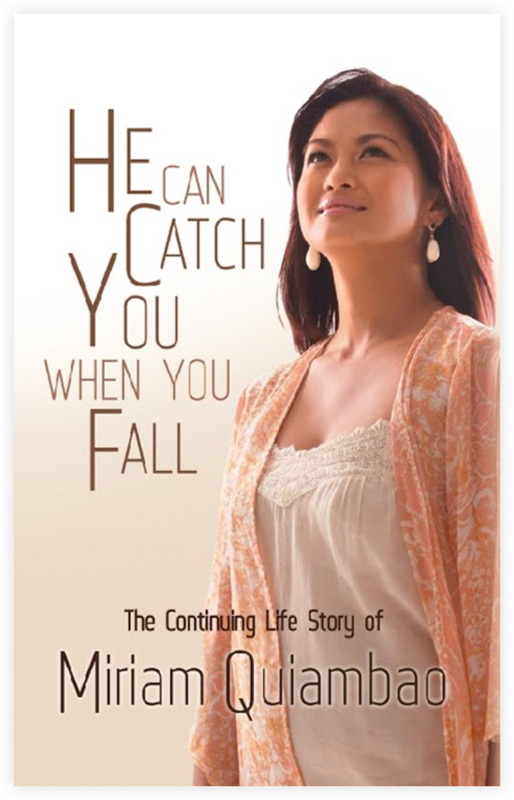 Miriam narrates the ups and downs of coming into her own and finding herself through God. She tells her story with honesty and a candidness that draws you in like her beauty queen smile. In her book, Miriam lets us in her life and her heart, and shows us that God always has a bigger purpose for us—if only we remain faithful and allow Him to steer our path.